It’s 3 a.m. in the ER when the call comes in. There’s been a car accident. A 16-year-old boy – unrestrained and the driver – is being life-flighted. He is in respiratory distress and has head injuries. His 10-year-old brother and front-seat passenger is coming by ambulance. His injuries, neck pain and an obvious deformity to the lower body, appear less serious. The team – a doctor, nurses, a surgical resident, transport team members, staff from lab and radiology, and others – gather in a trauma room. But this trauma room is different. Its walls are made of Falconboard® (heavy duty cardboard) and it’s actually in a 90,000 square foot warehouse where stacks of new automobile tires seem more “in place” than a pediatric medical team. The mock drill is part of the innovative process Akron Children’s Hospital is using to design its new medical tower, which will include a new emergency department, neonatal intensive care unit, outpatient surgery center and expanded clinical areas. 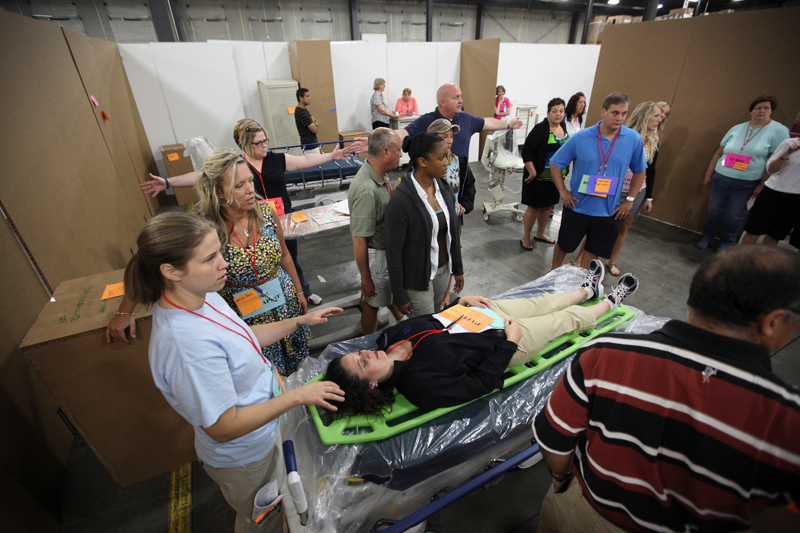 Leading the mock trauma drill is Laura Pollauf, MD, director of Emergency Services for Akron Children’s Hospital. During the scenario, the participants pay attention to details. Is the hallway wide enough for a stretcher? Is life-saving equipment in quick reach? Where will the mother enter and how will she be escorted to meet her sons? If the mother is being registered near her children, will this create a bottleneck in the hall? Jackie Smolinski, a mother of three, including a son with special needs who is well known in Akron Children’s ED, raises the concern that the 10-year-old boy may be traumatized by seeing his older brother undergoing life-saving measures. But Dr. Pollauf suggests that a pull-back curtain could help with that while still allowing the mother to be with both her sons. Smolinski and five other mothers who serve on the ER design team have also raised issues such as the need for more restrooms in the ER and a larger waiting room, giving Security a stronger presence, and improving overall flow and wait times. 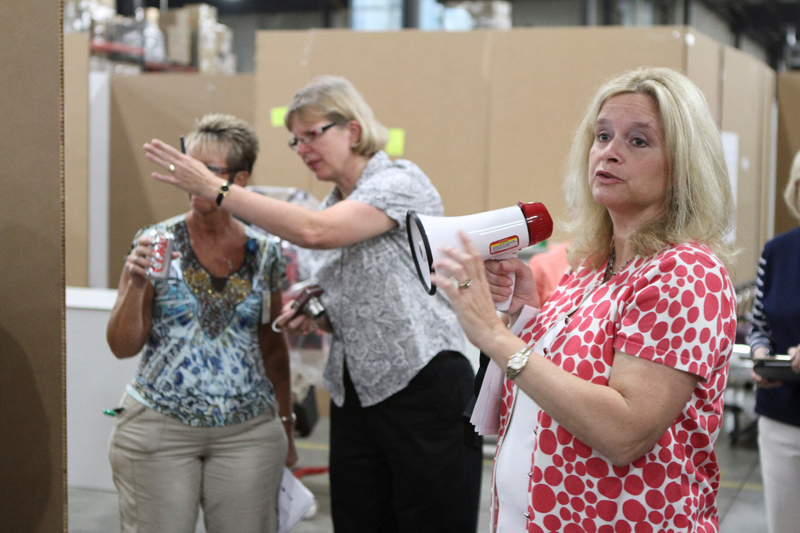 After an informal discussion about the trauma scenario, team members emerge from their cardboard maze ED and return to tables in another location of the warehouse. They will discuss what they liked and didn’t like in the scenario with architects, engineers and construction team. The goal is to get the design perfect. So when Akron Children’s new emergency department opens in 2015, it will be more than ready to care for two brothers hurt in a 3 a.m. car accident and all other patients who enter its doors round the clock.